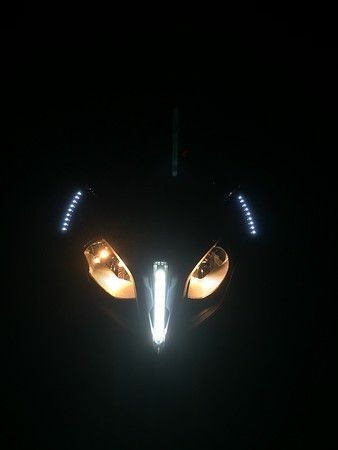 Had a call from my dealer yesterday (UK) and finally have my bike booked in for retro fitting of the LED running light. I asked how long they would need the bike for and they said, ''Well......It should take about 2 hours but we're going to sign a demo bike out to you ALL DAY just in case as it's the first one we've done". I'm pleased I'm finally getting the light that should have been fitted from day one but not sure about my bike being used as a training run!! Booked in for Friday 09th October, i'll let you guys know how it goes. Well, they had the bike a whole day but didn't manage to complete it due to a server problem whilst trying to download the software update. Got bike back now and all seems to be working well and looking as though it was fitted from new including all new switchgear on the left hand bar. PS Had a fabulous 190 miles on the K1300s loan bike from Plymouth to Lands End and back! Good deal that they let you take a loaner whilst they do the job. is your bike one of the first few XRs which were produced without the Daytime Running Lights which should have been standard. 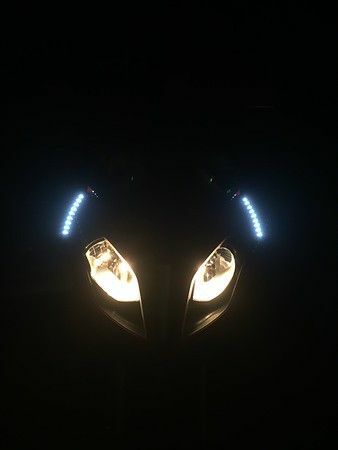 I order my bike with out DRL and now i want to have it installed but dealer says it is imposible to install it because of software problem. Yes, mine was one of the first batch that was delivered without the light installed. My dealer did have to download & install the new software as well as complete new switchgear for the left hand bar. Now it's done you would not know it wasn't installed from new so your dealer is wrong and it definitely is possible to retro fit although I believe it was a bit of a pain to do! If your dealer needs advice they can speak to my dealer, Ocean in Plymouth. I think the mechanic who did it is called Chris. 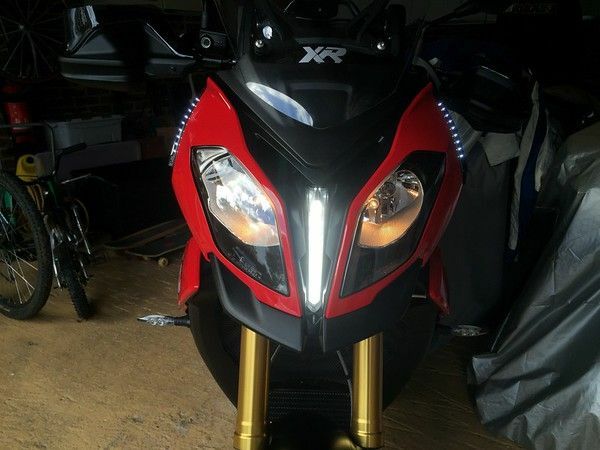 I recently fitted these LED running lights, as I spend a lot of time in London and making the bike appear wider and seen from wider angles is a life saver. Originally planned to fit to the hand guards, but easier where they are - wired into the accessories socket, so stay on for about 60seconds after ignition is off. More pics to follow, during daylight. Daytime shots - bright enough to get you noticed, especially at angles. Hi Grizzly. 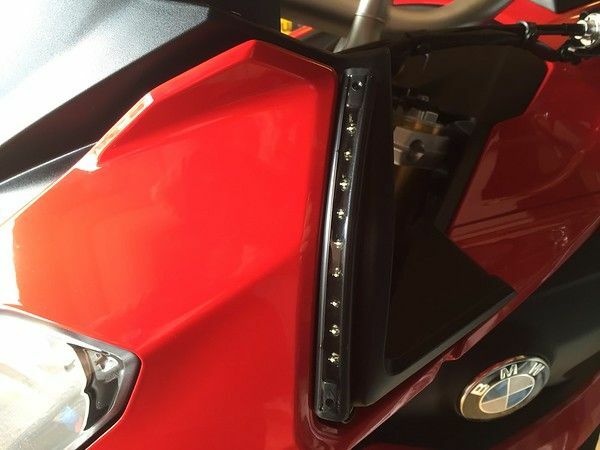 Can you confirm that the DRL was fitted free of charge. 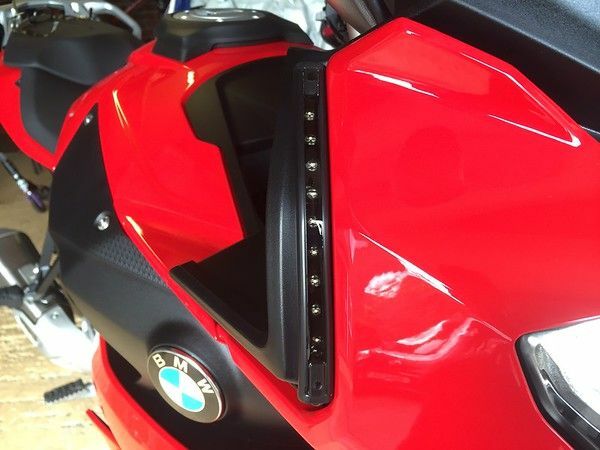 I bought one of the early bikes at beginning of August and my dealer (excellent dealer) was of the opinion that this light would be retro-fitted at BMWs expense in due course. When he tried to order the parts some time later he was told that BMW were not fitting this to the early bikes and we have reached a stalemate. I have read on the forums of a few people having this fitted in UK. 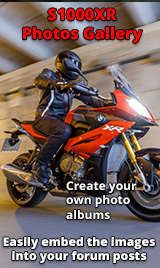 If some have had it free of charge I will make representations directly to BMW UK. Many thanks. Yep, absolutely free of charge. Keep pushing them! Yep mine was FOC also. 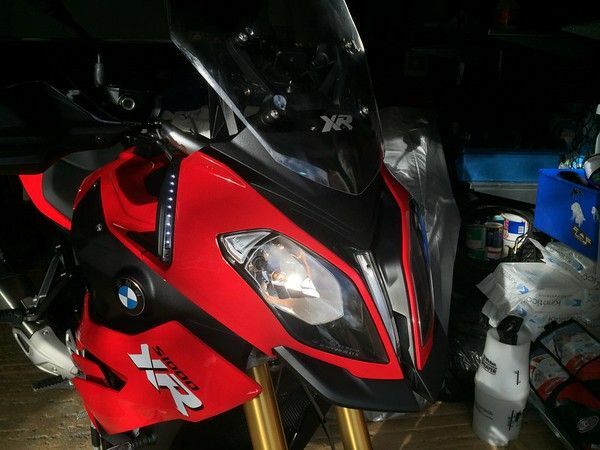 Several tries to fit the software all without success until they were told by BMW HO to load the complete new software from scratch - the software "fix" or patch does not work, they have to re-load the whole bike software, then it's OK. The hardware kit was a retro fit kit FOC as well. The DRL is far better than just running daytime dipped beam - far brighter, and IMO is a safety fixture you should press for. All the bikes should all have been fitted with this from day one as standard.